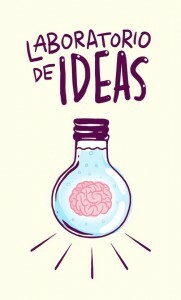 ¿Qué es creatividad?/What is creativity? Bueno… ¿Qué es creatividad? Para muchos la creatividad, consiste en encontrar algo nuevo. Sin embargo la definición es incorrecta y debe aproximarse más bien hacia la capacidad de disociar elementos existentes y combinarlos para generar algo nuevo. Se acerca el final de año y como no podía ser de otra manera, queremos compartirlo de una manera u otra con tod@s vosotr@s. Deseamos que todos vuestros deseos para el 2015 se hagan realidad y si esos deseos son creativos y pueden generar nuevas ideas, mejor que mejor. 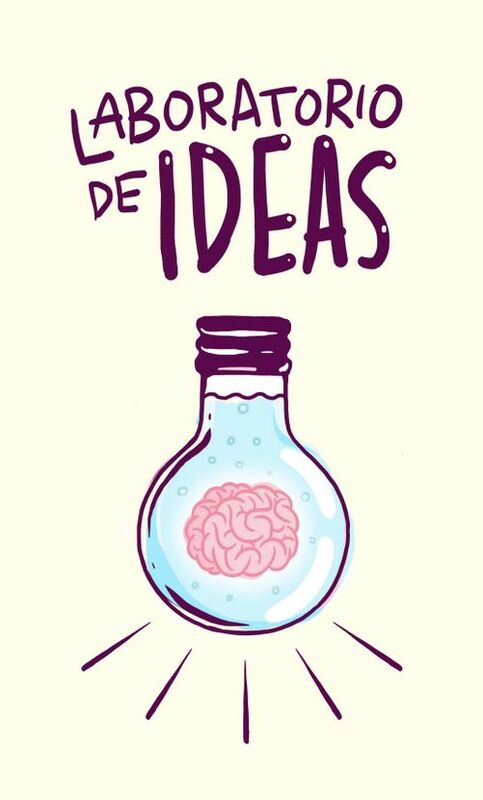 Cuando creáis que algo no puede llevarse a cabo, darle tiempo, una vuelta y dejar que la idea madure. Bernard Sadow inventó la maleta con ruedas y aunque parezca que exista de toda la vida realmente nació en los años 70. Algo tan esencial para nosotros hoy, parece una locura. Realmente es pura creatividad y lo que se debe valorar es como a nadie se le había ocurrido antes. ¿Pero cómo aparició la idea de la maleta con ruedas? La creatividad nace para cubrir alguna necesidad, para simplificar nuestra vida o hacer funcionar cosas de otra manera. De regreso de vacaciónes Bernard Sadow se enfrentó a un problema empujando las enormes maletas que, en aquellos entonces no tenían ruedas. ‘¡Eso es lo que necesitamos! Necesitamos ruedas en el equipaje”. Una idea brillante y creativa. Pero los comerciantes no lo veían así. Tras fracasos y fracasos probando vender la idea al final en 1972, Bernard Sadow registra su primera patente. Claro que las primeras maletas eran bastente dificiles para manejar y necesitaban modificaciones. Pero el primer paso se había dado, y la idea se hizo realidad. Ahora las maletas son totalmente diferentes y muchas empresas se dedican a hacerlas diferentes, personalizadas, más comodas y creativas. Well … What is creativity? For many of us creativity is to find something new. However the definition is incorrect and should be brought closer to the ability to dissociate existing things and to combine them creating something new. The New Year is coming and may all your dreams come true and don’t forget to be creative! When you think that something is impossible, take your time, look at it in a different way and leave things to mature. Bernard Sadow invented the wheeled suitcase in the 70s. An essential part of our lives today and pure madness in the 70s. Pure creativity but why is it that nobody has thought of it before? Creativity is born to meet some need, to simplify our lives or find another way of doing the ordinary things. Coming back home from the holidays Bernard Sadow faced a real problem pushing the huge suitcases, which in those days did not have the wheels. ‘That’s what we need! We need the wheels “. A bright and creative idea. But the traders of those times did not think that. After failures and failures trying to sell the idea finally in 1972, Bernard Sadow received his first patent. Of course the first suitcases with the wheels were difficult to handle and required modification and changes. But the first step had been taken, and the idea became the reality. Now the suitcases are totally different and many companies are doing their best making them different, personalized, more comfortable and creative. But ¿how to encourage the creativity? Well there are a lot of methods, but each one acts in its own way. But we would like to give you some tips. Let’s be creative. And remember what Jobs once said, “We’re here to put a dent in the universe. Otherwise, why else even be here?” Happy and Creative New Year and welcome to 2015. Esta entrada fue publicada en Creatividad y etiquetada creatividad, pensar diferente por Símbolo Ingenio Creativo. Guarda enlace permanente.